A robot revolution is on the horizon, but it’s not the apocalyptic uprising you see in Hollywood movies. This revolution—like the three that preceded it—will instead fundamentally change the nature of work as we know it. The First Industrial Revolution began in Europe in the 18th century, driven by the invention of the steam engine and machines that allowed for the mass production of goods in factories. People moved from a life of farming in rural areas to factory work in urban areas, and while working conditions for many were pretty terrible, the iron and textile industries transformed the economy and made goods more affordable and accessible. The Second Industrial Revolution began in the late 19th century, with electricity powering the expansion of existing industries and creating new ones. It brought us the light bulb, the telephone, and the internal combustion engine. The invention of the automobile and its mass production on assembly lines kick-started a revolution in transportation and commerce. And the world was further transformed by developments in communications, with undersea cables and radio transmissions linking countries and continents. The Third Industrial Revolution, which occurred at the end of the 20th century, saw the advent of digital technologies, such as computers, global telecommunications systems, and the Internet. Robots joined the assembly lines in the automotive industry and other advancements in automation soon followed, allowing workers to move away from dull, repetitive tasks to ones requiring more skill. The Fourth Industrial Revolution is being driven by technological breakthroughs in fields such as quantum computing, biotechnology, autonomous vehicles, artificial intelligence, and robotics—breakthroughs that will transform the way people interact with machines. The bottom line is that the coming robotics revolution will actually create nearly 60 million new jobs for people worldwide by 2022, jobs such as data analyst, applications developer, and e-commerce specialist—positions that are based on the use of technology. Other emerging professions will include AI and machine learning specialist, big data specialist, information security analyst, and robotics engineer. Robots have been on the job in the U.S. since the 1960s, and their numbers have increased ever since. According to the Robotic Industries Association, a record number of robots shipped in North America in 2018, with U.S. firms alone seeing a 15% increase from 2017. Notable growth came in areas like food and consumer goods, plastics and rubber, life sciences, and electronics. Warehouses and logistics operations, in particular, are seeing the widespread adoption of robots. A new report from market intelligence firm Tractica found that a growing number of companies are incorporating robotics to increase speed and efficiency in order to meet consumer demand for quick delivery. At the same time, robotic technologies are advancing and becoming more affordable each year. Tractica forecasts worldwide shipments of warehousing and logistics robots will increase from 194,000 units in 2018, to just shy of 1 million units annually by 2022. At the same time, worldwide revenue for this category will increase from $8.3 billion to $30.8 billion. 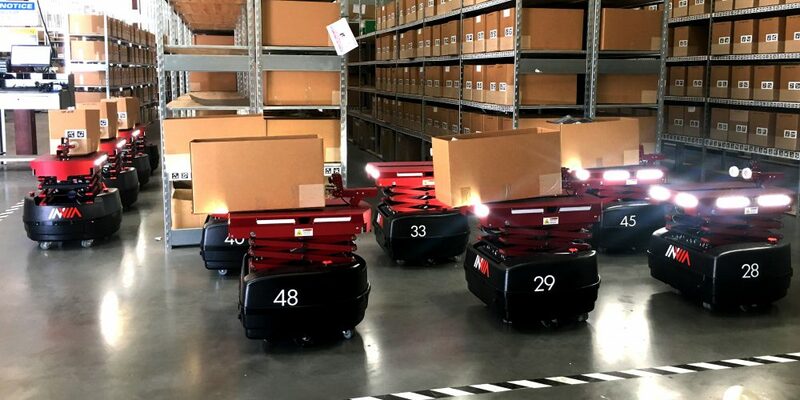 This growth in warehousing and logistics robotic deployments is a prime example of how robots can work collaboratively with people, doing repetitive and complementary tasks, and making people more efficient by allowing them to concentrate on more meaningful work. And that’s the essential takeaway: companies and workers need to embrace the idea of collaboration between people and machines. Yes, the robots are coming, but so are new jobs that play to the advantages of “human” skills like reasoning and decision-making, augmented by machines. So, instead of being afraid that robots are going to take away jobs, think of all the ways robots can improve and create jobs while enhancing people’s lives. 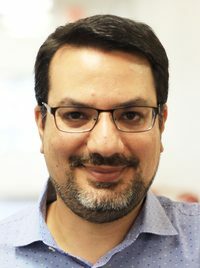 Lior Elazary is the founder and CEO of inVia Robotics, a Southern California robotics company founded in 2015 that provides the next generation of warehouse automation solutions. We are the developer of the first economical goods-to-person solution offered as “Robotics-as-a-Service.” inVia is powering the future of warehouse productivity without disrupting the ecosystem of a business’s operations. Learn more at http://www.inviarobotics.com.